So I went to my dealer yesterday to pick up my brother’s Zodiac, which I was having serviced. My guy told me he had something interesting to show me, and took me back to his office, and with the flourish of a magician, removed a gray cloth from a watch tray, revealing a watch I never thought I would see in real life. 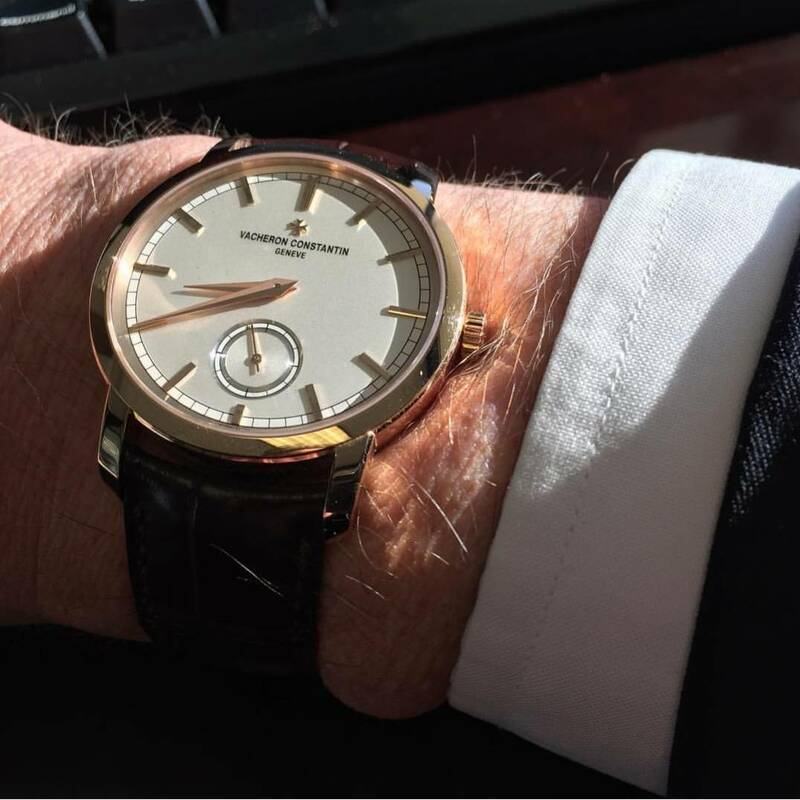 The day before, he had met with the CEO of Seiko NA, who was on his way to the NY boutique with this country’s allocation of Credor watches for the year. That would be a total of four—one of each model they make. My guy knew I was interested in the Eichii II, but had never seen one, and managed to convince them to leave it with him so I could look at it. And he decided it would be a great surprise—boy was he right. It is truly an amazing watch, one that several of you know I have admired through pictures for a long time. Then he told me that if I wanted it, I could have it—it would never finish its trip to the NY boutique. We worked out a deal (yes, I’ve done another major culling down now), and I picked it up today. This is a watch that lots of people, even watch lovers, just don’t get. But I do—it is the epitome of beauty through simplicity and craftsmanship IMO. They only make 20 per year, and apparently only one per year makes it over to the US, and usually it’s already spoken for. It was the most amazing luck that I was able to do this (and kudos to my dealer). For those of you who don’t know the watch, the basics are 39mm x 10.3mm platinum case (crown and deployant are also platinum), spring drive manual wind 7R14 movement finished to the hilt, and a 60 hour power reserve thanks to a patented torque return system that harnesses excess torque when the mainspring is fully wound. The dial is porcelain, made locally near Seiko’s Micro Artist Studio where Credors are made. The indices, and the Credor name are painted by hand by one artist. The process demands enough concentration that only one dial can be done in a day. The movement is finished with the same care as Philippe Dufour uses—in fact, Dufour has said the Eichii II is fabulous in the finishing department, and a picture of M. Dufour hangs in the Micro Artist Studio as inspiration. Credor goes to the length of using the same wooden sticks from the same type of tree that Dufour uses to do the final finishing. That’s right, they do it by rubbing wooden sticks repeatedly on the bridges! OK, enough words, let’s see some pictures. They can't do justice to the depth of dial, the richness of the porcelain, and the incredible color match between the indices, hands and even the strap. Also, as you can see, it looks different in different lighting. As you can see, everything that is extraneous has been eliminated, so you're left with markers, the Credor name, hours, minutes and seconds hand, and a tiny "Japan" and movement model number at the very bottom. My crappy $5 macro camera can't do justice to the dial (or the movement, really), but if you look at this shot of the logo, you can see it was hand painted--compare the slight differences in the two "r's." The lines on the indices might show some irregularities if I had a better lens. Note the flower motif, which starts with the skeletonized barrel, with the stem continuing down from it, and the "leaves" further down where the bridges separate. The finish has to be seen to be believed, in terms of the ruler flat horizontal lines, the incredible sharpness of the angles, the perfection of each countersink. Here's a few poor macro shots, maybe decent enough to give some idea. 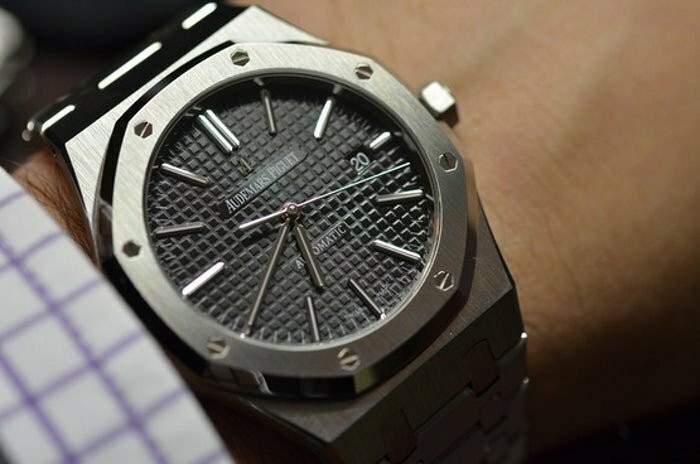 The watch sits beautifully on the wrist, the alligator strap is soft, the deployant perfectly done as well. Wait, what did I trade in this time? 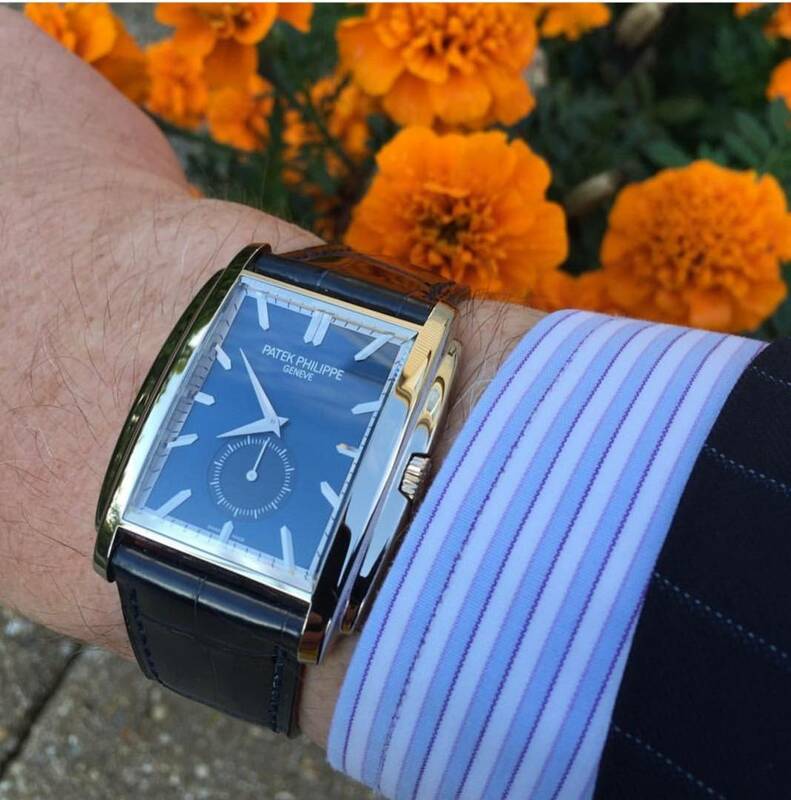 Well, sorry, @Geoffbot, but the APRO went, along with my two other dressy pieces that this will replace, the VC Traditionelle and the Patek Gondolo (sorry, @Raza), plus the Snowflake. Why? 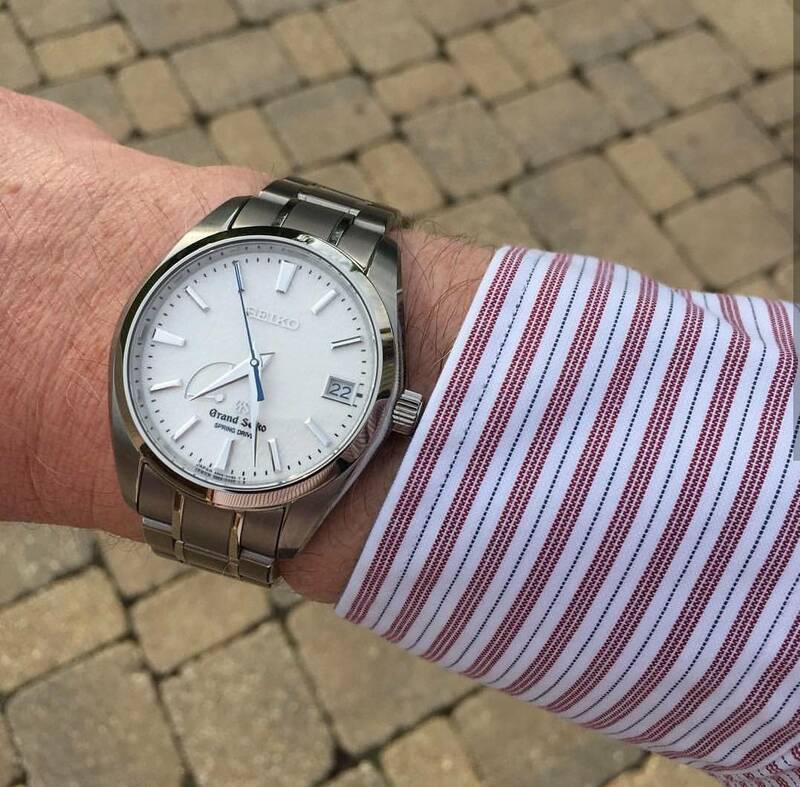 I'm not wearing dress watches that much since retiring, and the VC and Patek really don't work all that well with casual clothes, whereas the Credor can pretty much work with anything, since it's completely under the radar. The APRO didn't get nearly as much wrist time as it deserved compared to the Overseas, and I didn't feel the need to have two spring drive watches from Seiko. I'm hoping to get a short video of the gentleman who hand paints the dials actually painting this particular one--if I get it, I'll post it later. Never saw one in person, but I guess not many people has. The dial, the movement - I like te idea of a manual wind spring drive - the case, everything looks just perfect. And while I still have some reservations about most GS watches, I have none when it comes to that Cedor - that piece seems to come from another world. Probably one of the most refined pieces money can buy. Huge congrats, mlcor. P.S. : Just a small detail: apparently, Seiko did send a group of watchmakers to learn how to finish a movement - particularly the polishing process - with M. Dufour and they took with them a sample of the wood sticks he uses on his movements. I can't remember how long took Seiko to find a perfect replacement from a specific tree the University of Tokyo was studying and sent back some of those new wood sticks to M. Dufour. I don't know if this story is exactly true, but I believe it was M. Dufour who mentioned it during an interview (can't remember where, sorry) and he was actually quite happy with it. P.P.S. : I'm afraid you'll "need" to get another AP and another PP to keep the trilogy intact. Well, actually, you don't have to. But you didn't think I was going to let it pass, did you? Last edited by CFR; Feb 23, 2019 at 04:41 AM. Well, looks like you had quite the afternoon! Also, in regards to the Gondolo, Vader scream. Where do I start?! So many emotions. Rare as hens teeth. I doubt anything other than perhaps a Philipe dufour simplicity you reference would get anywhere near as much attention at a watch meet. Manual wind spring drive movement is way cool. Probably the most hand made watch available? - the tiny irregularities are a charm here. Obviously an absolute sleeper - "cre-door? Creee-de?" "cree-door - it's actually a seiko". "no no wait - come back!" Personally I prefer applied indeces, and feel that your VC looked more luxurious but that's just me. Had you bought it sans swap I'd have raised a glass and an eyebrow, but you swapped it for the below? Well, I must raise 2 eyebrows. One of my favourite under-the-radar, drool-worthy, admire from a far watches. Congratulations Mlcor. Wear it in good health - what a fabulous retirement gift to yourself. What an amazing piece. Once in a lifetime, indeed. Thanks for the pics, hope to see more. In the short term, how will you decide between the Credor and the recent ALS purchase?